It’s not only the lack of snow that’s plaguing us. 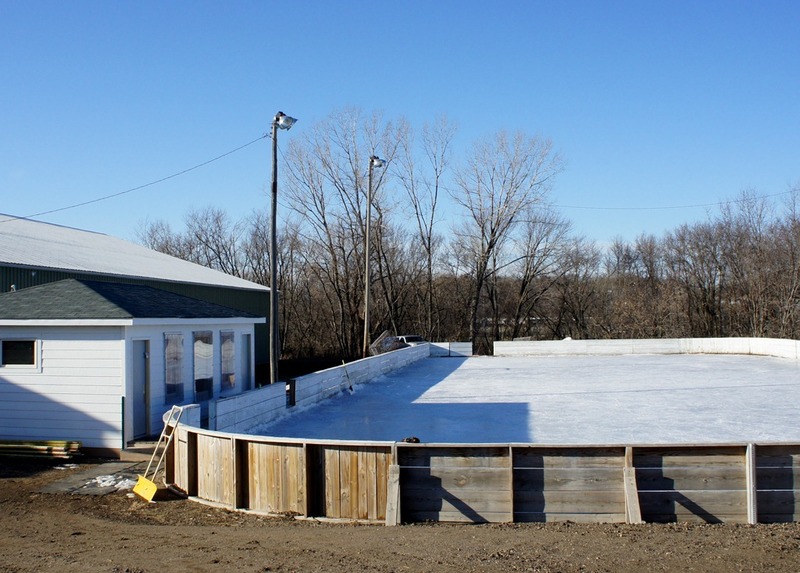 It’s also been too warm to make decent ice for outdoor rinks. 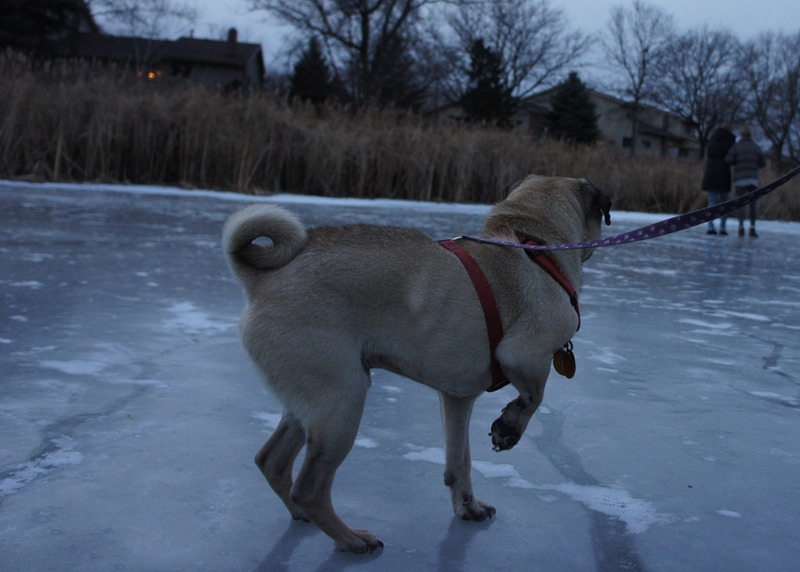 As of yesterday, the City’s neighborhood ice rinks weren’t skatable. Witness the rink at Way Park above. 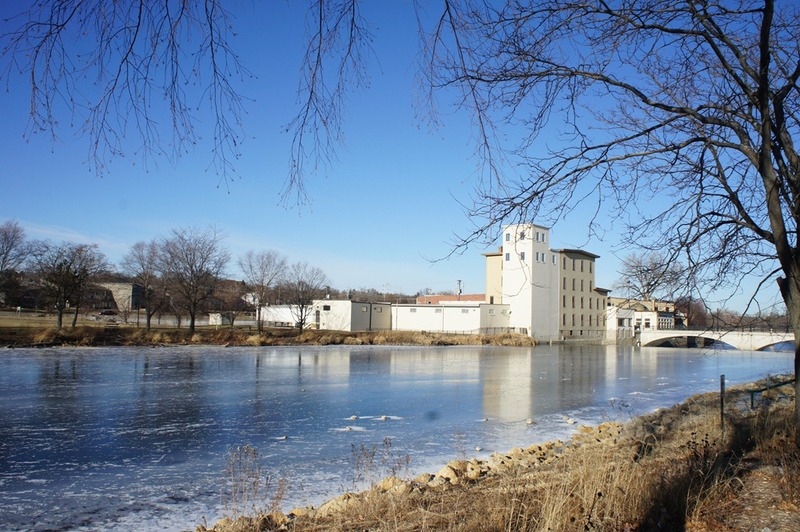 The Cannon River above the Ames Mill dam looked skatable for those looking to either win a Darwin Award or to be ticketed by the Northfield Police. 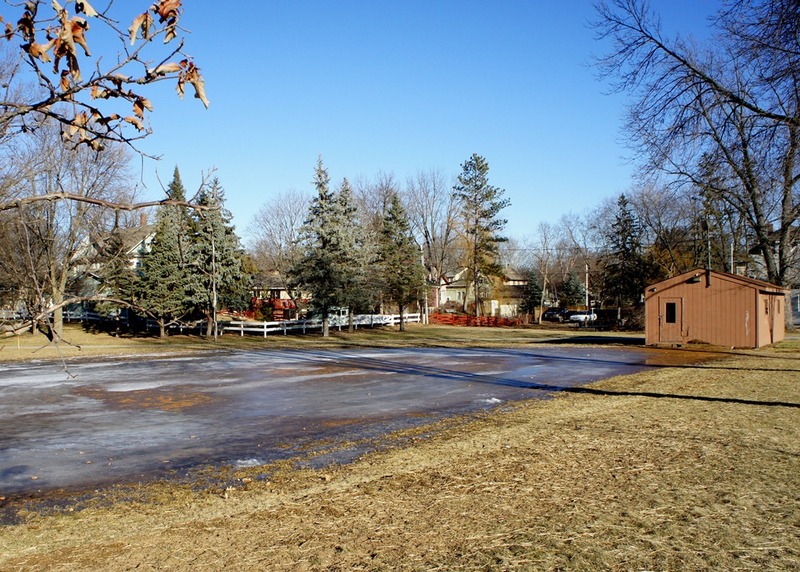 Your only option for outdoor hockey: the hockey rink next to the Northfield Ice Arena, as the two hockey rinks at Carleton College aren’t yet skatable. 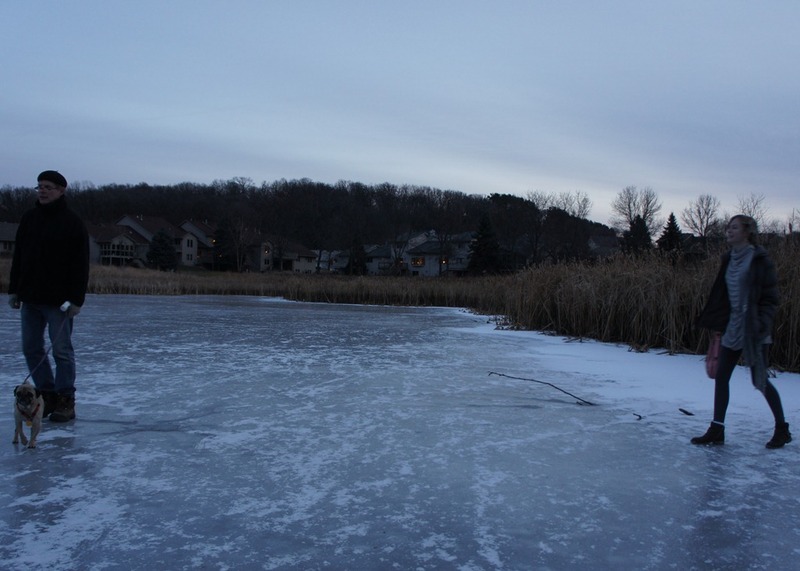 However, the stormwater pond in Hidden Valley Park in my backyard is near-perfect for ice skating. Some of my visiting relatives took a tour on foot yesterday afternoon.